Exciting news first, I have started my new job as a SQL Developer (view my LinkedIn profile) this week. Today is my day 3 at work, and I am still as excited as I was on my Day 1. I am quite comfortable using Visual Studio 2008 to design and deploy SQL Server Integration Services (SSIS) packages. This morning, I have installed Visual Studio 2013 on my work machine to look at some of the SSIS 2014 packages designed by my colleagues. 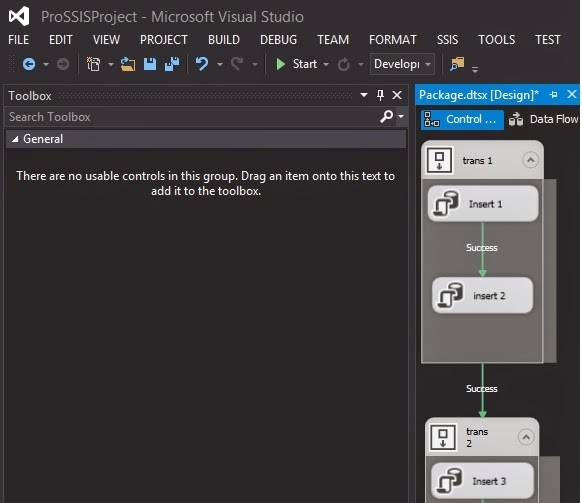 After opening one of the package, first thing I have noticed, that the usual Visual Studio Toolbox is empty, instead all Toolbox items required to design SSIS packages are in the SSIS Toolbox. 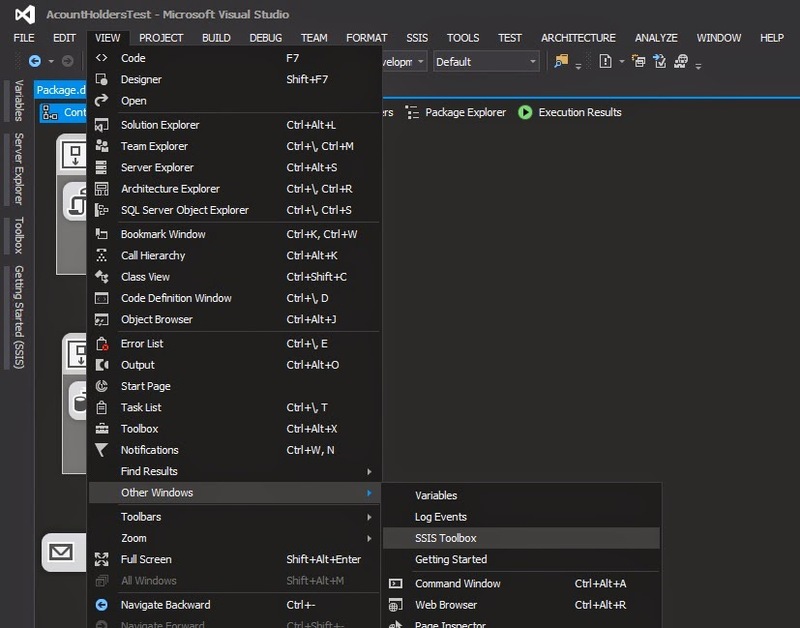 While checking the all new Visual Studio environment, I have somehow managed to close the SSIS Toolbox. I know it is not a big deal, but if you are not familiar with the Visual Studio 2013, you may find it annoying to open SSIS Toolbox again. 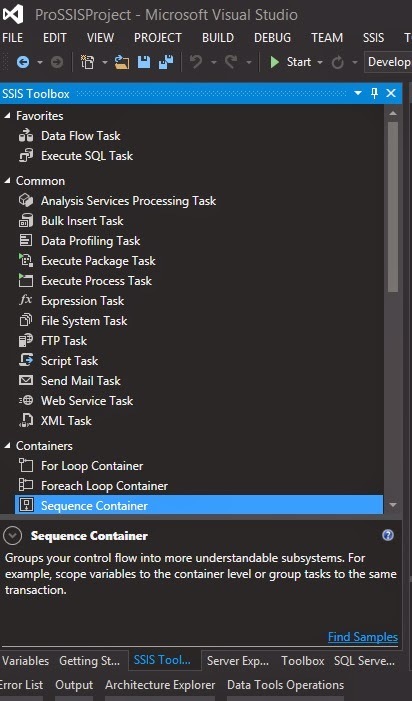 There are several ways to open the SSIS Toolbox, I am still looking for the keyboard shortcuts. ERPTREE is a leading oracle fuison HCM Training Institute. we offer this course through online we have great experience in succeeding students through online courses. we can calculate our performance through their honest referral. you can share your live experience with other can generate you some money.